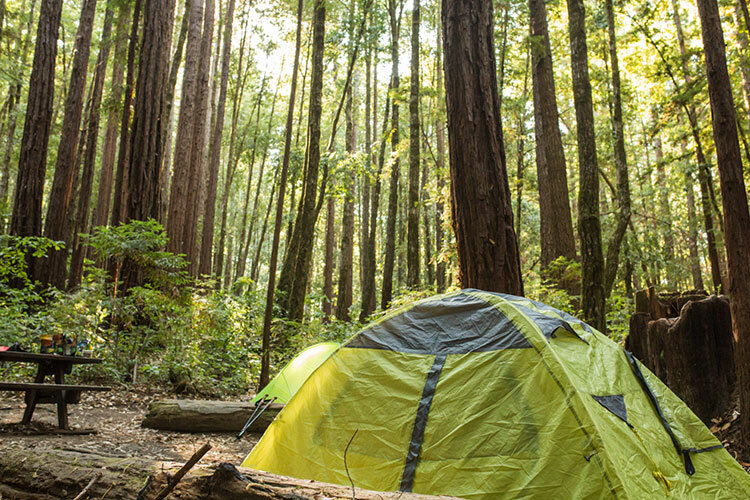 Pitch your tent on the edge of the wilderness. Glacier Nalu Campground Resort is a beautiful 12.5 acre property surrounded by large spruce trees and natural rainforest vegetation. 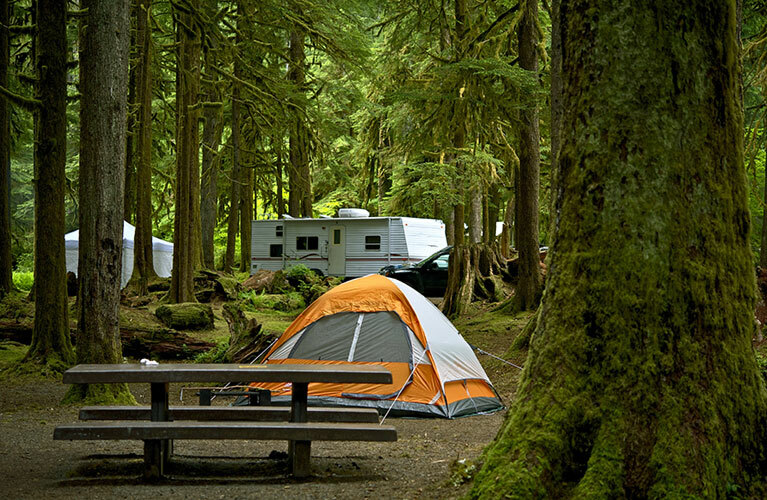 We have deluxe camping sites with private gazebos, and standard tenting sites. Sites have free WiFi, sparkling clean restrooms and showers, handicap access, laundry facilities, tour information and reservations. Located on the bus route, and only 3.7 miles to the Ferry Terminal, 3 miles to the Mendenhall Glacier Visitors Center, and 14 miles to downtown Juneau. 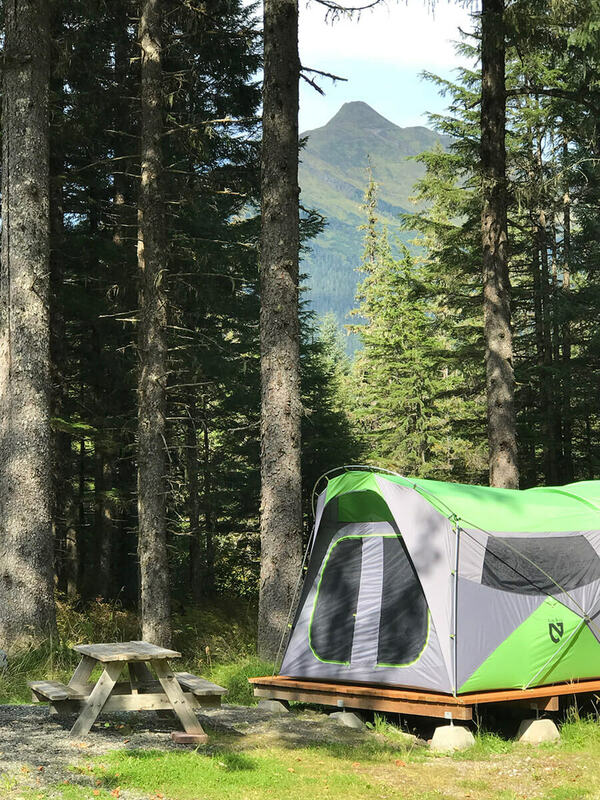 Camp under your own gazebo on the edge of the Tongass Rainforest! Each deluxe tenting site includes a covered gazebo, fire pit, picnic table, parking spot and access to all of our fantastic amenities. Roughing it in style! 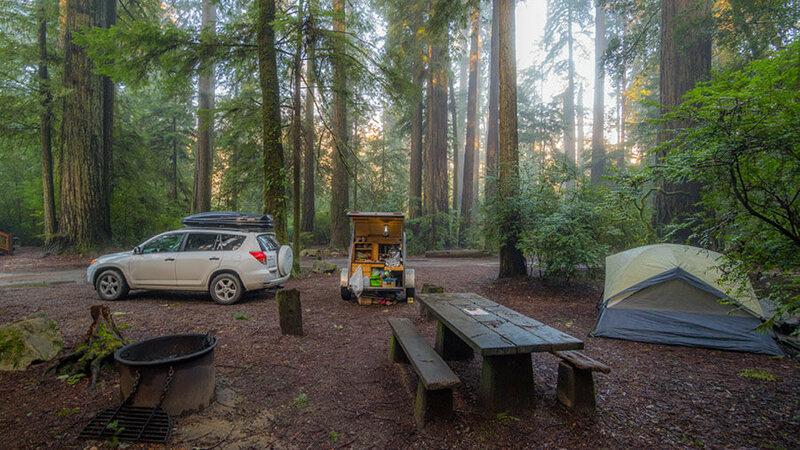 Great large group camping options available! Contact us for more information. Sleep under the trees and then utilize the properties amenities to make the most of your vacation! These are group tent sites with shared tables and covered areas. Limited parking options. Contact us for group camping prices! Get all of your digital comforts of home with complimentary internet during your stay with us. Cable TV can be watched inside our office/laundry headquarters. Stop by the office and try our complimentary hot beverages, served daily! Large selection of DVD movies to check out for free from the front office. Book exchange allows you to leave a book and then take a book! Sparkling clean indoor restrooms including individual shower stalls and all the hot water you need! Clean and convenient coin operated washers and dryers located in the office. Large gazebos offering covered seated and a shared BBQ and fire pit area. Our check-in time is 2:00pm for all guest unless prior arrangements for early check-in have been set-up ahead of time. Check-out time is 12:00pm for all guests. Any payment made with our company is fully refundable 15 days or more prior to your arrival date. If you do need to cancel the reservation for any reason prior to your arrival date, we require all cancellation requests in writing by email.